Use the Coupon: ALLCBD5 to get 5% Discount. Hi! It’s me, Linda, back again to write a review on Aaron’s blog. And like him, I also got tremendous benefits from using CBD oil. So, I’d like to talk about a brand that I tried out recently in this CBD Biocare review. I’m Linda, a 40-year-old single mom to an adorable 12-year-old daughter and a senior Rottweiler. I live in the San Francisco Bay Area, and my journey into the world of CBD began three years ago in an effort to keep my arthritis in check. Over the years I have tried many CBD brands, with mixed results, but never lost the will to experiment with new products. And that brings me here, writing another review, to help you make a better choice. The company was started by a couple, Matthew and Stacey Pitts, who are convinced about the myriad health benefits of CBD and its potential to change the world. Their research led them to the conclusion that people need to be aware of how CBD can help them lead a better life. And so, this company came to be. The product range is split into three categories – Pain Relief, Health & Wellness, and Skincare. Now that we have discussed the company let’s jump right into my experience with using the products. 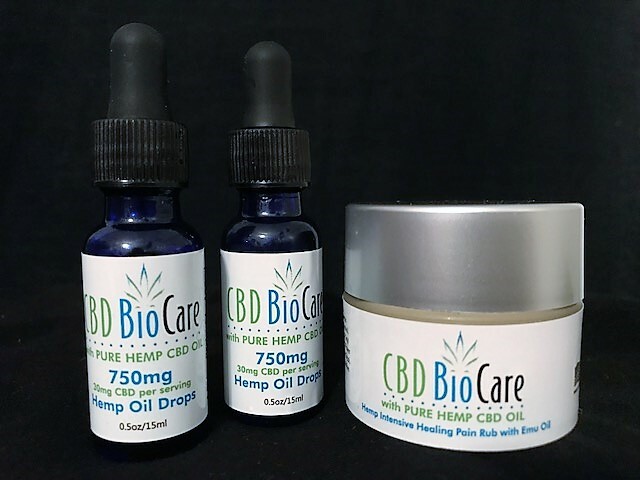 The first product I tested out was CBD hemp oil from CBD Biocare because the company claimed that it helps ease the pain. And you know who needs help in treating joint pain? Me! After reading my fair share of CBD Biocare reviews on the Internet, I decided to order it first and see how things go. Luckily, things didn’t go bad. Not bad at all. This package comes with a dropper that holds up to 30 mg of full spectrum CBD oil. Use the dropper to take the required amount of dosage. That’s it! Real simple; real easy. Unlike Aaron, I don’t have diagnosed anxiety, and my main problem happens to be persistent pain that often keeps me up at night. I’ve learned to live with stress for many years now, but not without the help of the CBD oils I’ve tried. Thankfully, this one also didn’t disappoint as I felt calm and composed soon after administering the dosage. Word of caution though, you have to give your body a bit of time to get adjusted to the dosages to see real results. I have to admit my impatience got the better of me and I initially discarded the product thinking that it was just waste of money. Also, make sure you’re not under the influence of any other hemp product. The effects on joint pain kicked in after almost 6 days of continuous dosage, and I surprisingly managed to be free of pain for many days. Two months have passed and I’m using it still. This isn’t something you get experience with every other product out there. Okay, I was really excited to try this product out as it claims to soothe the pain caused by arthritis, muscle aches, and joint ailments. I’m not a big believer of topical products, but I try them out anyway for the sake of reviewing. This time wasn’t any different, but I am glad to say that the emu oil did work its magic. 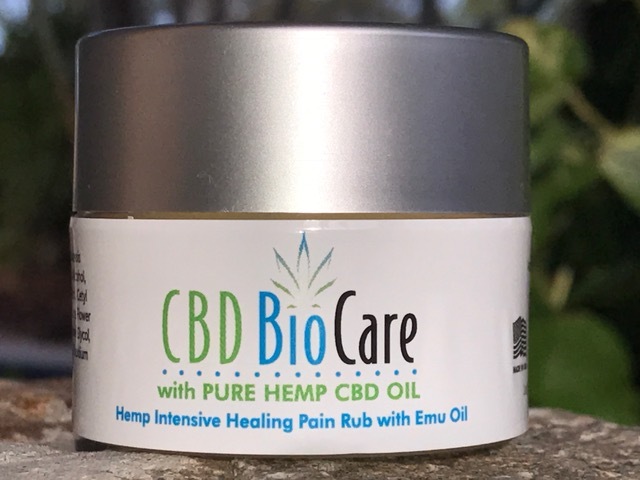 Scoop up the required amount of CBD pain balm using your fingers and apply it gently over the affected areas. Make sure you follow a patterned motion while rubbing so that the lotion is evenly distributed and absorbed by the skin. It was great! What else can I say? I feel ecstatic when a new product works out for me, and this one sure did. The substance was quick to act on the pain points of my body, especially towards the glutes and my back. I’ve used many products over the years, and I can’t honestly recall many products matching up to the efficacy of this one. I’ll wholeheartedly recommend you to try out the pain balm. In fact, I’d recommend this product over the consumable CBD oil, if the only ailment you’re trying to treat is arthritis and general joint pain. Just for the record, this stuff doesn’t work on anxiety or stress. Fancy name, huh? Well, it’s not only the name that’s fancy; CBD Apple Stem Cell Rejuvenation Cream has the wholeness to walk the walk, not only talk the talk. And this means something coming from a lifelong skeptic like myself. Boasting of an extensive array of beneficial features, this “magic potion” promises to restore your youth. But how much does it succeed in? Let’s find out. The same way as CBD Pain Balm. Scoop the necessary amount using your fingers and apply gently in a circular motion over your face. The company website suggests using twice-daily for optimum results. Coping up with the realization of turning 40 is not easy. The fact that I am a single mother doesn’t make things any easier. The two things that I never fail to take care of are my children – Shelley (the 12-year-old daughter) and Rottie (my senior Rottweiler). Recently it dawned upon me that I need to be taking better care of myself. That’s when I bought this cream. This might sound like a generic advertisement, but trust me when I say that a lot of how we feel connects to how we look. This cream made me look youthful and radiant once again; even my daughter complimented how mommy looks younger. 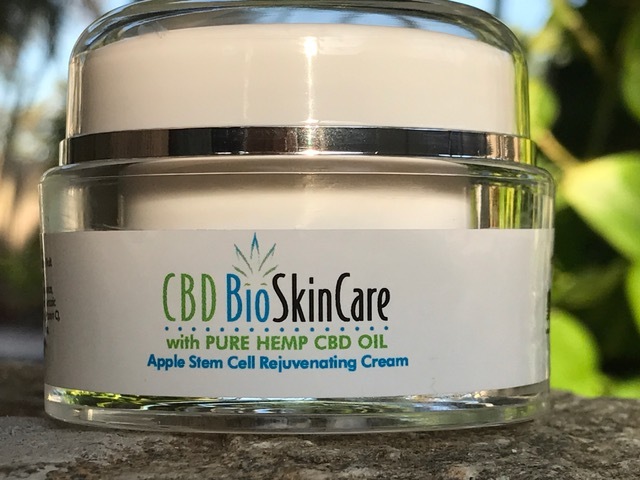 CBD Apple Stem Cell Rejuvenation Cream gets two thumbs up in my book. I would have loved to give you a review of these products, but unfortunately, I haven’t found the time to try them all. Hey, you know what, I think I’ll update this blog and keep bringing you my opinion on the products as I try them. 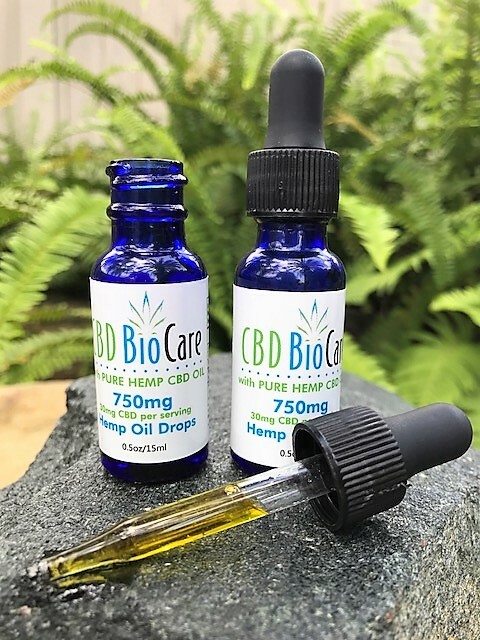 Where to buy CBD Biocare products? Just visit the website www.CBDBiocare.com and go to the “SHOP” section in the menu bar. You’ll find the entire range of CBD products on the next page. Just choose the products you want to buy and pay via Visa, MasterCard, PayPal, or American Express. That’s pretty much it! So far, none of the products I’ve tried lead to disappointment, and I highly recommend that you give them a shot yourself. This brand has made a name for itself in the CBD industry through excellent products and consistent customer support, so I don’t think you need to fear anything before placing an order. Cannabidiol (CBD) has NOT been proven to treat, relieve, nor cure any disease or medical condition listed on this site. The medical studies, controlled tests, and health information offered on Cannabidiol Life of allcbdoilbenefits.com (or any variation of the URL) is an expressed summarization of our personal conducted research done by me and few friends in the business. The information provided on this site is designed to support, NEVER replace, the relationship that exists between a patient/site visitor and the patient’s/site visitor’s physician.